The Gist: Mary Lane on Weimar Republic art, and Donald Trump on SNL. Today’s Spiel attempts to bring meaning to the shambles that was Donald Trump hosting Saturday Night Live. 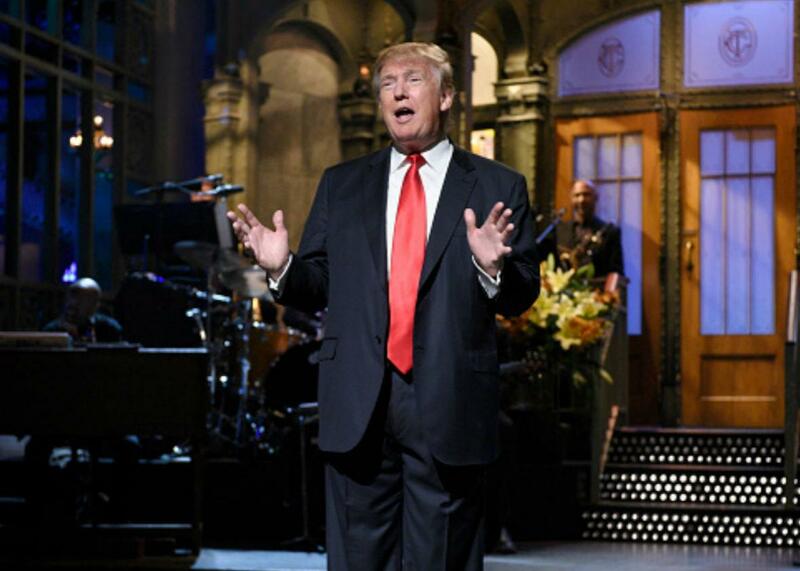 Donald Trump’s opening monologue on Saturday Night Live on Nov. 7, 2015 in New York. On The Gist, a show about art and prostitutes up now at the Los Angeles County Museum of Art. The Wall Street Journal’s Mary M. Lane will share her highlights from “New Objectivity: Modern German Art in the Weimar Republic, 1919–1933” on display through Jan. 18, 2016. For the Spiel, Mike explains why Donald Trump on SNL was aggressively unfunny. 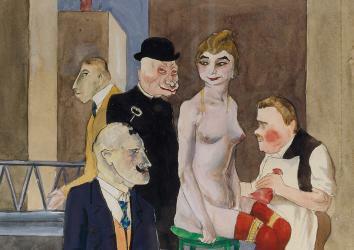 Meeting of Fetishists and Manaical Flagellants, circa 1921, by Rudolf Schlichter, from the LACMA show. Painting by Rudolf Schlichter, copyright Viola Roehr v. Alvensleben, photo by Christian Wirth via LACMA. Citrix GoToMeeting. When meetings matter, millions choose GoToMeeting. Get a free 30-day trial by visiting GoToMeeting.com and clicking the “try it free” button.